Ole Gunnar Solskjaer plans to ensure Manchester United are not blunted when opposition teams shackle Paul Pogba in future. Pogba was man-marked as United were beaten by Paris Saint-Germain in the Champions League last week, with the influential midfielder struggling to impact the game before a late red card. Solskjaer again praised Pogba, whose domestic form has been outstanding in recent weeks, ahead of United's crunch clash with Liverpool and he claims both the team and player will be better for the experience of suffering against PSG. 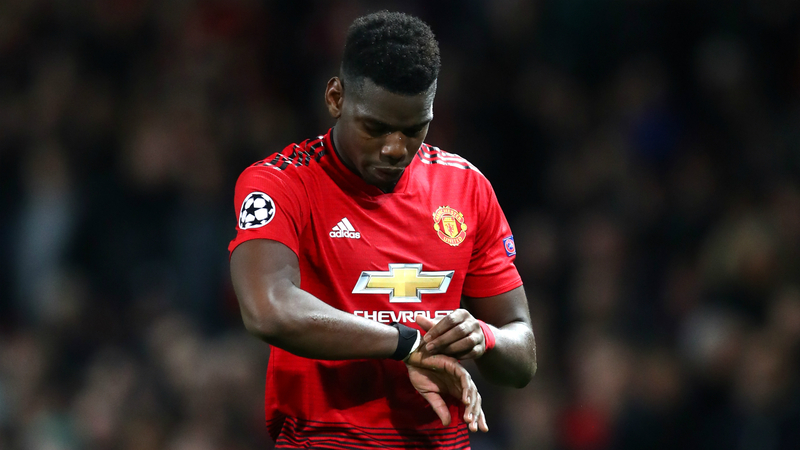 He believes other opponents might follow suit after the Ligue 1 champions identified a way to stop Pogba, meaning United must come up with a different way of playing. "[Pogba] is a top, top player I've always liked, ever since I saw him as a kid," Solskjaer told a news conference. "He's a World Cup winner, a leader in the dressing room, he wants the ball all the time. "My idea was to get him playing to the best of his abilities as an attacking midfielder. "You saw that PSG man-marked him - other teams probably will, although I don't know if Liverpool will. If they do, he will have experienced that. "That was what they [PSG] did to stop Paul. It created space for others and we need to be ready for that." Pogba and Marcus Rashford have been two of the key men under Solskjaer, but the United boss was keen to point out that others in the team provide a platform. "[Pogba and Rashford] are young enough to stay here for many, many years, we hope," he said. "But then you've got [Nemanja] Matic and [Ander] Herrera that make Paul's job what it is. "You have got to complement each other. You cannot put 11 [Cristiano] Ronaldos on the pitch and think you're going to win a game, or 11 [Lionel] Messis, because you're not. "It's all about complementing each other's attributes and I think we've found a good balance in the midfield."